Young Presidians of Dwarka 16B give us another gift at the occasion of Teacher’s Day. 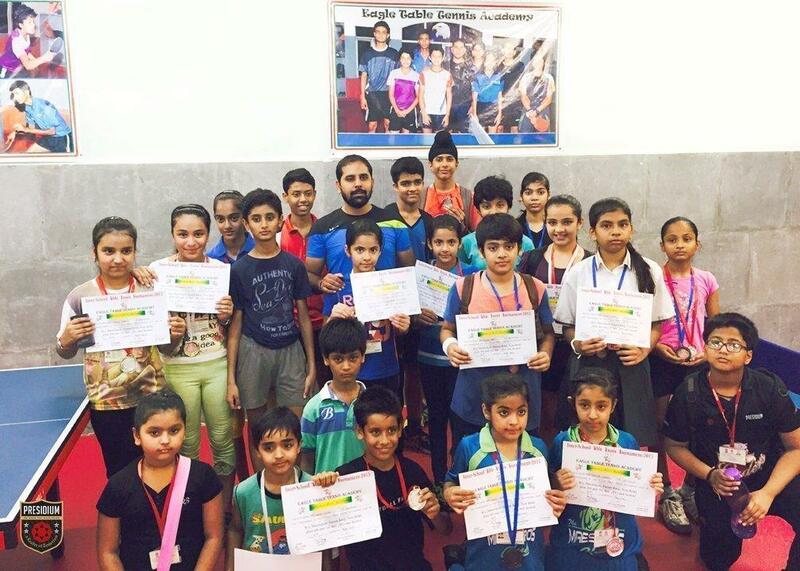 Our champs participated in the Eagle Inter School Table Tennis Championship held at 4th and 5th September 2015, where they bagged a total of 14 medals: 3 Gold, 6 Silver, and 5 Bronze. Presidians Srihsti of IV-B, Khushneet of VII-D, and Franny of VII-C won a Gold each; Aaina of VII-C, Shreshtha of IV-B, Vansh of V-C, Iknoor of III-A, Sunpreet of VII-C, and Khushneet of VII-D won a Silver each; Vishab of VI-A, Kashish of VIII, Shivi of VII-C, Maanya of III-A and Sheryl of III-A won a Bronze each. Cheers to the Big League Academy and our champs!